A new age and modern hotel, jüSTa Sajjangarh Resort & Spa in Udaipur offers a motley set of experiences that are new and yet rooted in tradition. As I looked outside my flight window as we neared Udaipur, my thoughts said one thing – this place is so green. All I could see was a carpet of green courtesy the lush green landscape that was like a beautiful carpet from atop. And through the 45 minute journey I saw many shades of green as I approached the Lake City’s newest hospitality address at the jüSTa Sajjangarh Resort & Spa. Located atop a scenic hill, overlooking the Sajjangarh Biological Park and Monsoon Palace, this hotel has a view of the tree laden Aravalli hills unlike most of the city that overlooks the lake. All the rooms in the hotel are well equipped with modern day amenities and are done up with a dash of local aesthetics. The 63 rooms are in three categories – deluxe, premier and suites. 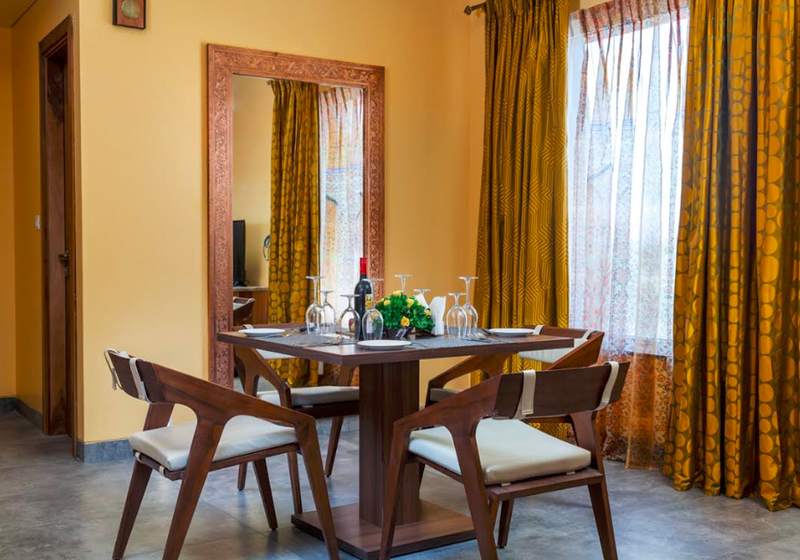 Renowned fashion designer and Director, jüSTa Hotels & Resorts, Deepika Govind has handpicked the furnishings and ensured that the local nuances are highlighted. “This hotel is modern in perspective and yet I wanted to bring out the characteristics of the golden city. Golden-yellow, orange and hues of aqua blue dominate the hotel interiors. Essentially all textiles used are luxe; communicating luxury. Most are sensuous satins, intricate exquisite jacquards, the Suraj Pol inspired sheers and Indian silk,” she explains. This is where you will see various manifestations and interpretations of the ‘Tree of Life,’ motif. The rooms are large and expansive and overlook either the monsoon palace or the gardens of the property. 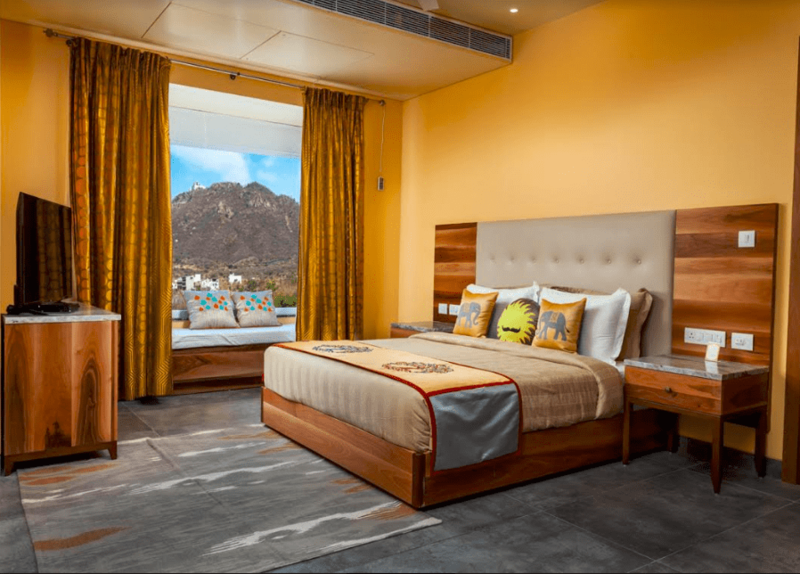 The deluxe rooms are designed with Mewari and modern architecture and have stunning views of the Aravalli hills and are equipped with a king bed and a day bed. Premier rooms have a king bed or twin beds and overlook the swimming pool or the garden and have a comfort sofa and a reading lamp. 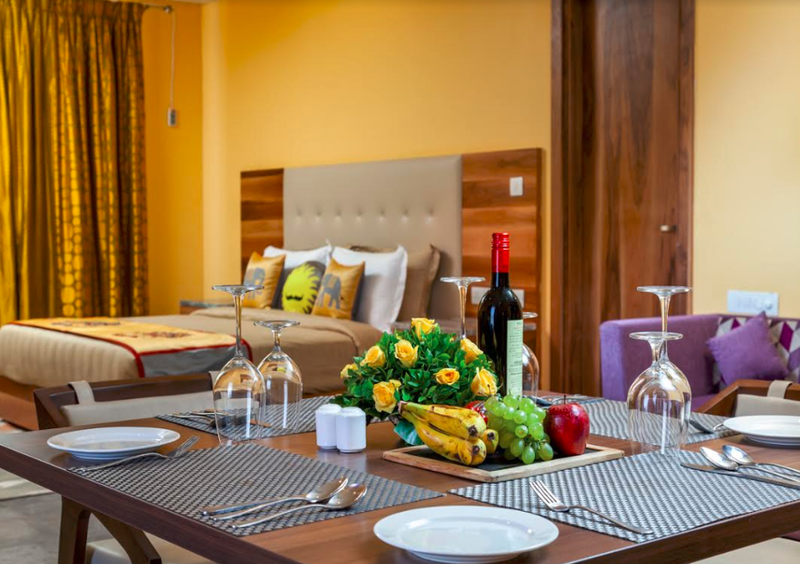 All rooms have air conditioning, complimentary bottles of mineral water, 42-inch LCD Television with Satellite Cable televisions, iron and ironing board, feather down pillows, minibar, 10 inch snoozer mattress, safety deposit box, tea and coffee maker, unlimited Wi-Fi and more. I stayed in the Suite that interestingly is a huge space across one level. With a large dining table at one end, a cupboard, two sofas, a massive mirror, a large bed, two bathrooms, two televisions, a study desk and more this is all that you could ask for in a room. And there is more – a huge Jacuzzi that overlooks the hills too! The best part is an alcove seating that can actually double up as a bed for a child with a view of the stunning Monsoon Palace. One thing I found very useful was the large number of plug points that helped me charge all my devices, something that I usually struggle with in most hotel rooms. At Sabor, the all-day restaurant, there is an international dining experience with an Udaipur’s first interactive live-kitchen and world cuisine that is waiting for you. With a whopping 46 induction stations, a large live kitchen counter is at one end of the restaurant. While a buffet is on based on occupancy levels, it is the a-la-carte menu that is a winner here. Executive Sous Chef Surya Kant Nirala and his team do a fantastic job of ensuring the food here is as tasty and delicious as it is presented. The Chefs team came up with winners like Exotic Quinoa, Curly Vegetables, Musculin, Black Olive Cavier & Parmesan Crisp, Butter & Dry Nut Tossed Homemade Smoked Roasted Pumpkin Stuffed Raviolli, Peas Mint Quenell & Yellow Pepper Coulie and Equatorial Chocolate Mousse with Raspberry Jelly, Hazelnut Truffle and Activated Charcoal Macaroon. Do try their Banoffee with Salted Caramel Sauce, Caramalized Banana Crunchy Noughat and Coconut Ice Cream to be transported to culinary heaven. Interestingly the in house bakery churns out fresh bread and pastries everyday (even supplying to the group hotels in Udaipur city and Nathdwara). While this is the dining space currently operational, a terrace lounge that can have about 250 guests, that has a teppanyaki grill and barbeque is all set to open soon. And if you want to have a custom experience, the culinary team sets up a ‘Dining by Design’ experience on the lawns setting up romantic candle light and champagne dinners with live-cooking by a personal Chef under the starlit sky. This apart the banqueting facilities on the expansive lawns and meeting rooms make this an ideal location to host events too. A luxury spa and state-of-the-art fitness centre is getting ready and the swimming pool is the best place for a nice dip. You can also check out some unique walking and bicycle trails to the neighbouring Sajjangarh Biological Park. If you want to see a new Udaipur, head to jüSTa Sajjangarh Resort & Spa to make fabulous memories.